Baking with Melissa™: Chocolate Peanut Butter No Bake Cookies!! 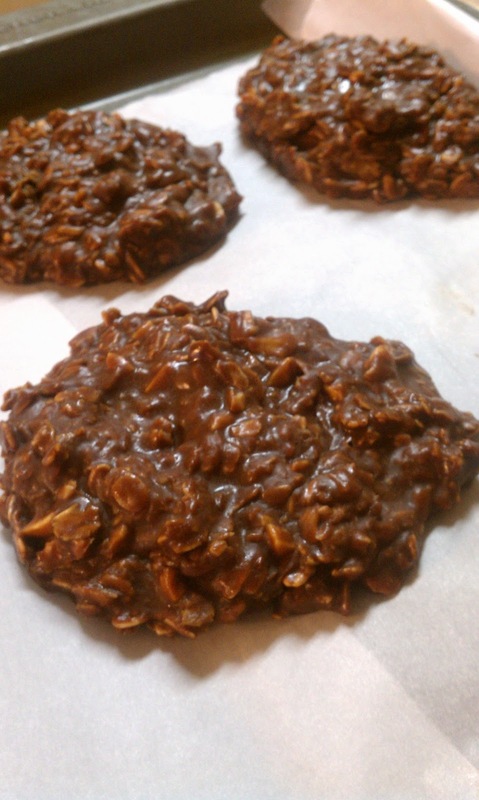 These are my FAVORITE quick and easy cookies! You can serve them large or small and are best served chilled. Add sugar, butter, milk and cocoa powder to pot and bring to a boil for about 3 minutes stirring constantly so it does not burn. Remove from heat. Stir in oats and peanut butter. Mix well and drop by spoon onto parchment paper. Put in refrigerator to cool. Can be served chilled or at room temperature. Depending on the size you make them will depend on how many this will serve. I usually get about 16 LARGE cookies out of this recipe. Quick and Easy and oh so good!